Hunky Dory evokes some of John Lennon’s more acerbic songs, Lou Reed’s swagger, and Donovan’s cosmic musings. Any film about the fall of an empire. News footage of people scaling the Berlin Wall comes to mind. Looking back from the vantage point of 2018, it’s easy to forget the early trajectory of David Bowie’s rising star was a bit wobbly. His 1967 debut remains a stylistically awkward hodgepodge and a commercial failure. In spite of a much-needed course correction in the form of “Space Oddity” from his second record, and positive press reaction to 1970’s subsequent The Man Who Sold the World, album sales were weak and Bowie felt, in his own words, “washed up.” So, he hired a different manager, began looking for a new label, and turned production reigns over to sound engineer Ken Scott of Abbey Road fame. The resulting collaboration became Hunky Dory, the first of three consecutive boundary-busting albums for RCA. 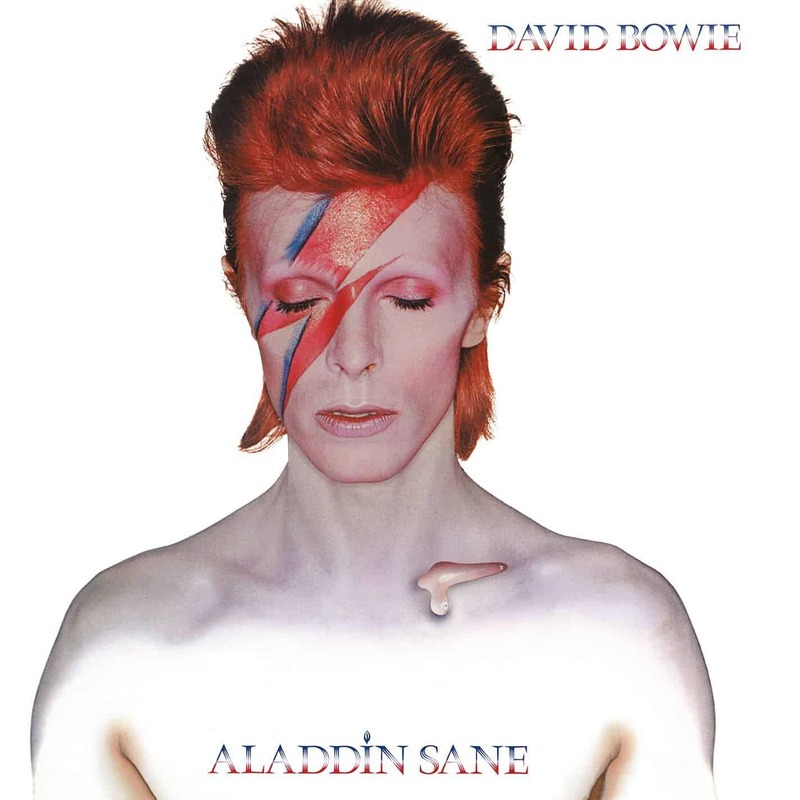 On the record’s opening track (“Changes”), Bowie immediately throws down a gauntlet with the lines “Ooh, look out you rock ‘n’ rollers” and “Pretty soon now you’re gonna get older” accompanied by the repeated incantation for his audience to “turn and face the strange.” The song embodies a philosophy that would become the touchstone of Bowie’s constantly morphing androgynous stage persona and perpetual stylistic experimentation. The rest of the material finds Bowie in full creative control of his eccentric predilections. Recorded at London’s Trident Studios, Hunky Dory comes on as a mixture of everything from baroque folk pop to piano-driven cabaret and yet it still stands as one of Bowie’s most coherent and musically satisfying albums. His continued collaboration with guitarist Mick Ronson gels on tracks like “Life on Mars,” where the use of Ronson’s cinematic string arrangement proves particularly evocative. Bowie’s continuing growth as a songwriter can be heard on “Oh! You Pretty Things,” featuring Nietzsche-inspired sci-fi imagery and a jolting, glam-rock chorus that never gets old. After comparing the Parlophone LP of Ray Staff’s 2015 remaster to an original U.K. RCA pressing and an all-analog 1997 EMI 100th anniversary reissue, the original U.K. copy gets bragging rights for its pure analog openness and three-dimensionality. That said, the Parlophone reissue sounds truer to the original than the EMI edition’s rather odd EQ, which seems to spotlight upper-register instruments and bury some midrange information when played back on the two very different audio systems I used for critical auditioning. On the all-analog EMI pressing, vocals and some finer upper-register details are a bit clearer in places, but dense passages on tracks such as “Life on Mars” sound murky and muddled when compared to the U.K. original and Staff’s version. Boosting the volume of Staff’s remaster reveals more heft and brings it a bit closer to the original’s more aggressive sound. Parlophone’s decision to apply a glossy sheen to the album’s front jacket also makes it easier to appreciate the grain and hand-tinting of the Marlene Dietrich-inspired cover photo.